Many Young Carers say that juggling school or college with caring causes them stress or pressure and 1 in 10 say they sometimes miss school or be late because they are caring. Action for Children are leading on a project in 3 schools in North East Derbyshire: Eckington, Dronfield Henry Fanshawe and Tupton Hall Secondary schools, to identify and support Young Carers. There are likely to be Young Carers in every school but 39% say that nobody at school knows that they have a caring role at home. The amount of help a Young Carer gives can vary from a few hours a week to several hours a day - 1 in 3 spend between 11 and 20 hours caring each week. Am I a Young Carer? What do Young Carers do? Young Carers are children and young people under 18 who help look after family member or someone close to them. This could their mum, dad, brother, sister, grandparent or other family member. They might need to help because the person they look after has an illness, condition or disability which means they can't do certain things. Or they might have a mental health condition, depression or a drug or alcohol addiction. help to look after younger brothers and sisters. making sure younger brothers and sisters have someone to talk to. Lots of Young Carers do a mixture of these things. They also might spend a lot of time worrying about the person they help look after - this could be worrying about whether they are safe on their own or worrying about what is going to happen in the future. So are you a Young Carer? Lots of Young Carers don't realise they are a Young Carer, it's just normal life to them. That might be how you feel too. If the person you help couldn't manage if you didn't help, then you are probably a Young Carer. If you have to do things because there is nobody else to help then you are probably a Young Carer. If you have to do things at home that other young people your age don't really do much of, like lots of cleaning and cooking then you are probably a Young Carer. Being a Young Carer might be something you do without thinking about it and it’s just what you do. It might be what you've always done from being little, but remeber that most young people your age don't have these responsibilities. Ok, I think I'm a Young Carer - what do I need to know? The main thing to know is that if you're a Young Carer then you can get some help. Young Carers can feel stressed or lonely and you might feel like your friends don't understand. getting enough time to do school or college work or revision. It's important you get to do stuff other people your age do. Being a Young Carer shouldn't mean you have to miss lots of school - even if you don't really like school that much, it's important to go so you can get the best exam grades possible so you can get the job or do the course you want when you leave. And you also get to see your friends and people your own age at school. Many Young Carers provide care and do things that someone of their age wouldn't usually be expected to do. If you feel like you are in this situation then it's important that you think about whether you are able to keep on providing care. You may really want to help out the person you care for because you are close to them. But it's important to find the right balance between your own life and caring. Don't be afraid to ask for help or say that you want to do less caring. If you're struggling you may find talking to someone you trust could help. It helps most people to get things off their chest and share their problems. You could talk to a friend or an adult like your parents, teacher or other worker. Don't be afraid to say how you feel and ask for help. Speaking to teachers or health and social care workers can be daunting. If you're worried it's a good idea to plan or write down what you want to say before you contact them. Derbyshire Healthcare Foundation Trust have developed a prompt card called 'SBARD' to help you do this. 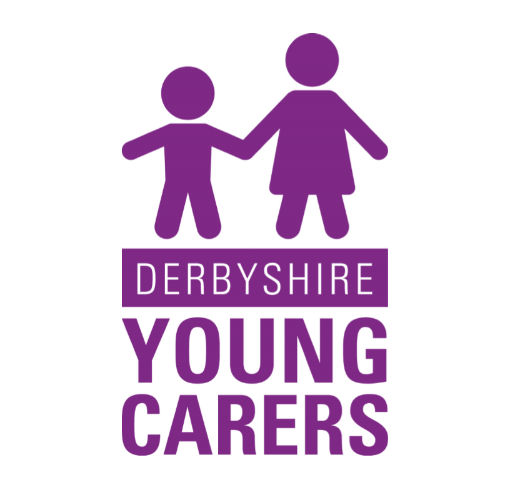 In Derbyshire there are services and workers who can support Young Carers. You can find details of the Young Carers Support Service and other services by clicking here. advice and information - there's a lot to know about caring and how support services work. If you think this kind of support would help you, you can look at the list of support options and contact which one you want. Or you could talk to someone you trust about it, such as your parents, your teacher, an older brother or sister or a friend. It might be that someone else to help the person you look after would be the thing that would help you most. See the 'Young Carers Rights -getting help from your local council' section below for more about this. The NHS Choices website has lots of good advice for Young Carers about getting support. Your local council has a legal duty to assess your needs as a Young Carer and see what kind of help is available for you and your family. If you haven't been assessed as a Young Carer or if things have changed recently, you can contact your council and ask for an assessment. If you live in Derbyshire your local council is Derbyshire County Council on tel: 01629 533190. If you live in Derby City it's Derby City Council on tel: 01332 640000. If you have an assessment, a council worker will talk about being a Young Carer. They will ask how you feel about school, college, your life, such as going out with friends, hobbies or playing sports and what you want to do in the future. They’ll ask whether you want to carry on being a young carer (it's okay if you do and it's okay if you don't) and will be able to put you in touch with people and places that can help support you. 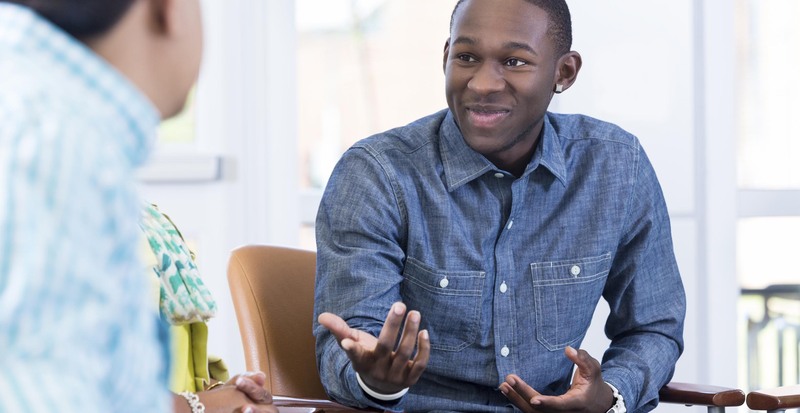 If you're worried about having an assessment and speaking to workers it's a good idea to plan or write down what you want to say before you contact them so you don't forget anything. Derbyshire Healthcare Foundation Trust have developed a prompt card called 'SBARD' you can use to help you do this. The Council may also be able to get some help and support for the person you care for so you don't have to do so much. This could be someone to come and help them have a shower so you don't have to, make them meals or help with medication. But this can depend on whether the person wants someone else to help, and whether the council thinks they need help. They would need an assessment of their care needs to see if they were entitled to help from the Council. Most adults have to make a contribution to the cost of care, how much will depend on how much money the person you look after gets. You can find out about assessments on the council website. If you don't understand it, ask someone you trust to help. The Carers Trust have put together a guide all about the rights that Young Carers have. You can read it on their website. If you are looking after a close family member such as a parent, brother or sister, you may find that your caring role puts a strain on your relationship with them. Particularly if you are looking after a parent, it may make your relationship feel a little bit strange - it may feel like you're the parent sometimes! The Carers Trust have a relationship guide that gives tips on how to deal with getting on with a family member, including sections on caring for a sibling, caring for a parent and generally dealing with the stresses of being a carer. Childline also has lots of advice about dealing with family relationships including looking after someone with mental health issues, dealing with death and also living in a step-family. If the person you look after has cancer, you may find advice for young carers on the Macmillan website useful. It was written by other young carers. Lots of Young Carers say they feel worried, stressed, anxious or depressed. It could be you're worried about the future, for instance if the person you look for has a condition that will get worse. Or you maybe you feel stressed because you don't have enough time to revise or study as you're too busy caring? It's important to tell someone if you feel like this - don't bottle things up or you will feel worse. It may be that the problem you're worried about can be fixed. You can talk to an adult you trust or one of the local services that support Young Carers. 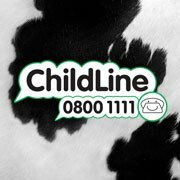 Or you can ring Childline for advice - their number is below. If you feel depressed and you don't know why you feel like that, you should make an appointment to see your doctor. Counselling services may also help. Relate offer counselling to young people in Derbyshire. Young carers are sometimes bullied because the person they care for is ill or disabled, or because they can't always do the things other young people can. Some people are bullied for no reason. In fact, nearly half of children and young people say they've been bullied at school. Even adults get bullied. It's natural to feel sad, angry or scared if you're being bullied. But remember: there are ways to deal with the problem. If this is happening to you then the best thing to do is tell someone like a teacher or an adult family member. If you don't know what to do or don't want to tell anyone yet, you can ring Childine on the number below. If you'd prefer to speak to someone you don't know, why not give Childline a ring? If you're concerned about the person you look after right now see our need urgent help and advice page. For many Young Carers one of the biggest worries can be what's going to happen in the future. You might be worried about the person you look after getting ill or what would happen if you couldn't help them if something happened to you. If they have mental health problems you may be constantly worried that they are going to have a crisis or breakdown. Although there might not be a way to stop these things happening, you can ease the worry by making plans and being ready in case they do happen. Have a list of important phones numbers ready and put them somewhere safe - this could be the numbers of doctors, social workers, mental health crisis teams. We've got a list of local numbers that might be helpful. Talk to other family members and friends about your worries and ask what, if any, help they could give if the worst happened. If they can help, make sure you have their phone numbers in a safe place too. Make sure your family doctor knows you're a Young Carer so they can support you and your family in an emergency. Speak to the person you care for or an adult you trust about your worries. They might be able to come up with practical ideas to help you manage in a emergency situtaion. Look into emergency schemes such a Lions Message in a Bottle where you keep the person you care for's personal and medical information in a special bottle placed in the fridge. Emergency responders like paramedics know to look for a bottle if they see a special message in a bottle sticker in your house. You can get bottle and sticker from GP surgeries, health centres or pharmacies. We've got more information on the emergency planning page. If the person you care for has mental health problems it can be very stressful trying to calm them down or make them feel better. The urgent help and advice page has information about who to contact if the person is having a mental health crisis.